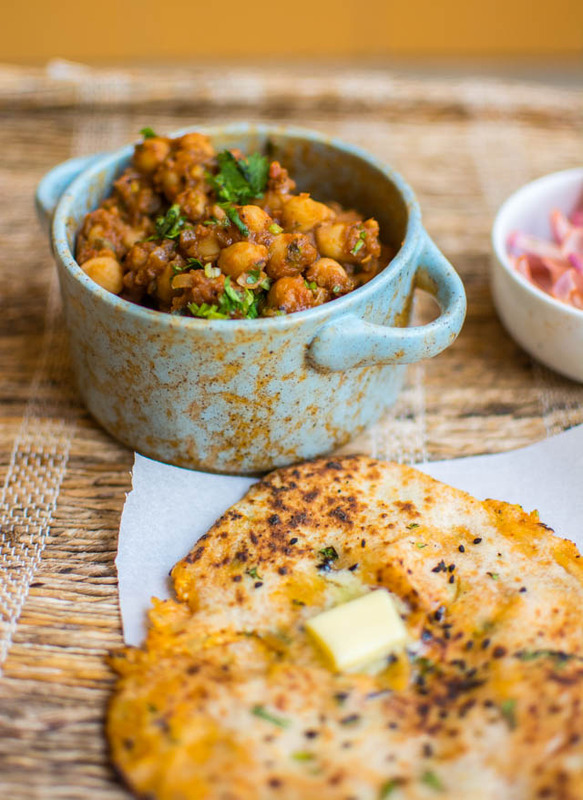 Belonging to different Delhi communities lends itself to a lot of varied food exploration in the NM house. 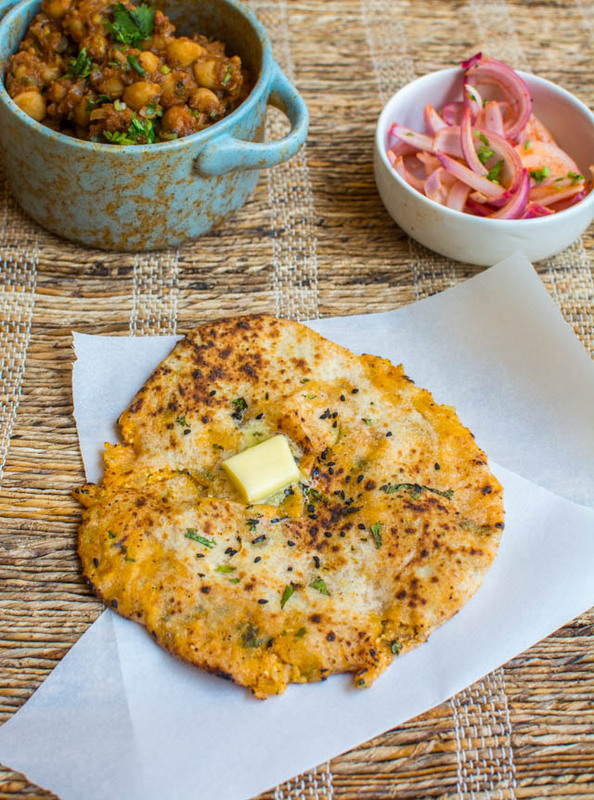 While there is a lot of appreciation for core Old Delhi food items like Aloo Poori and Chaat there is equal love for the rich Punjabi food. 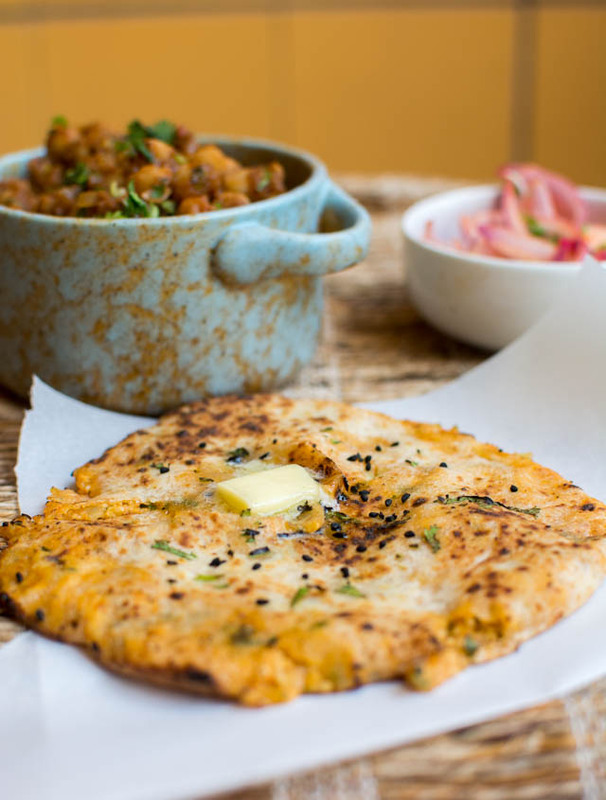 One thing M and N love and have grown up on is Aloo Naan served with Chhole. An Amritsari (holy city in Punjab) delicacy, this has been long on the list of N to make for M. It's true that things made with love turn out great !! 1. Mix all ingredients for preparing dough in a bowl and make a not so tight dough. 2. Then cover this dough with a wet hot towel and leave for atleast 2-3 hours. 3. 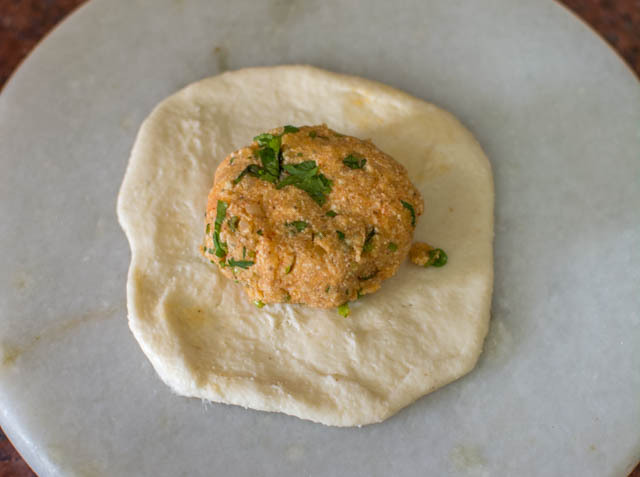 Once the dough is ready, put some oil on your palm and convert dough into small balls of about 1.5 inch diameter. 4. Roll it with a help of rolling pin. Now place stuffing in centre of it. Cover it with dough on side. 6. Roughlt sprinkle kalonji and coriander on it on top side. 7. Heat the oven at max temp for 5 mins. You can make this on gas as well. Heat tawa at high flame. 8. 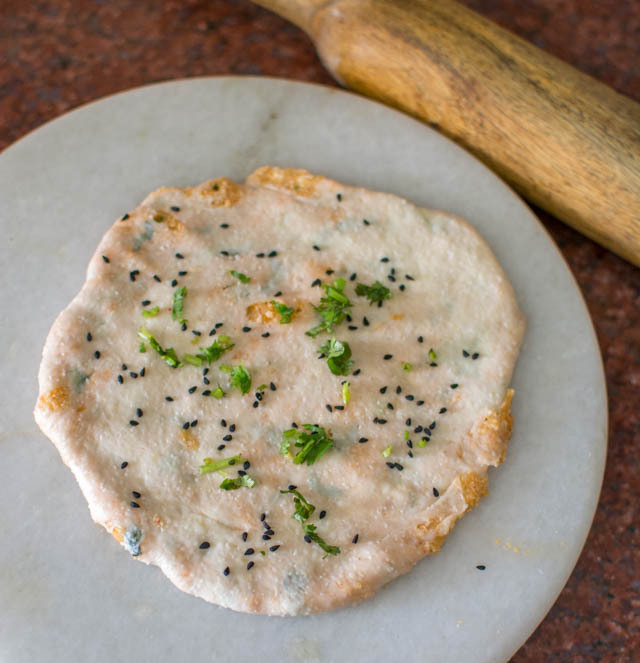 Now, dip your hand in water and apply on back side of naan. put water generously. and let it cook in oven / gas till it begins to get golden. 9. Remove it from oven tray / tawa and cook it on gas directly using tongs to get lovely texture and make it crisp. Drop butter generously on it and serve with chole / daal makhani. I bet you can't stop after first bite.